Our house is Colonial in style with handmade cream brickwork & a blue colour bond roof. 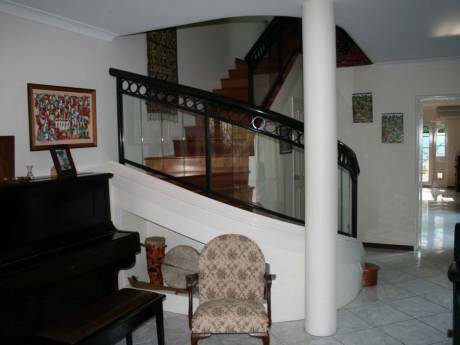 The main bedroom is upstairs behind a balcony overlooking bushland. There is an ensuite with a triangular spa bath. There are two other bedrooms, a bathroom & a lounge upstairs. Downstairs there is a verandah across the front with an alfresco area. Double glass doors link this area to our family room, which has a gas fireplace. Adjacent to the family room in the centre of the front is the kitchen. This has an island bench, granite bench tops, gas hotplates & an electric oven. Drawers are used in preference to cupboards. Along side the kitchen is a meals area with direct access to the verandah & behind the meals area is the formal dining room. Our main entry is on the side behind the dining room. Behind the entry hall are a lounge. an office, a downstairs bedroom with bathroom, a powder room, seperate laundry & double garage with direct access into the house. The entry, family room, kitchen & meals areas are all tiled, while the rest of the living areas are carpetted. There is a small enclosed decked courtyard that can be directly accessed from the office or the downstairs lounge. All gardens have manual retic systems. The small front yard has some lawn, rose beds & native plants in beds. I am a retired maintenance engineer who spent most of my working life in mining & my wife hasnt been employed since we were married in the 60s. We are both originally from NSW but have since lived in Tas, NT, & NSW again before moving to Perth. From here I commuted to the Argyle Diamond mine for 18 years before retiring. Therese was a great squash & tennis player before ill health stopped these activities. I play golf when I am not playing in brass bands. When we lived in suitable areas I was a keen fisherman. We both love watching sport. Therese is into photo mounting knitting & crochetting as hobbies. We have two adult children, a girl in Sydney & a boy in Perth. There a two grandchildren, boys 9 & 10 here in Perth. There are no pets in our house but we feed 2 crows, 4 butcher birds & 1 kookaburra from our front verandah. We both love cats & used to have three. Our car is a 2000 Toyota Corolla Auto & could be made available as a swap. We both like travelling & are going to Italy & the Med in Sept so we cant get involved in a house swap before Dec, 2006. We have never done a house swap & would treat other peoples property very carefully. Our house is on Empire Ave in Wembley Downs, a dormitory suburb 7K west of the CBD & 1K east of the Indian ocean. Empire Ave is the boundary of a 36 hole public golf course & there is a tennis club with numerous courts 200M down the road. There is a public swimming pool on the other side of the golf course. Floreat & Scarborough beaches are 5 minutes by car. Three small shopping centre are within walking distance & there is a major centre 2K away. Wembley Downs is a leafy suburb set on rolling country just behind the beach. 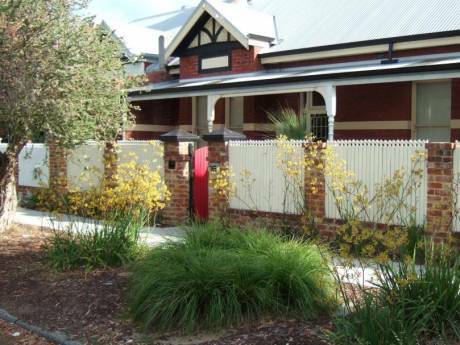 Many blocks have been subdiveded over the last five years & new houses built so it is a very attractive part of Perth. We are 20 mins from Fremantle, a popular tourist area, 45 minutes from the Swan River Vineyards & three hours from the famous Margaret River area. 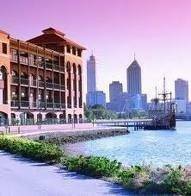 Perth has all the amenities you would expect in a large city. Features are the huge Kings Park overlooking the CBD & the Swan River. The main football oval (Subiaco) is 10 mins from home & the WACA (cricket) is 20 mins by car. There are no trains to Wembley Downs but we are on a bus route with regular service.